The 2017 IAFF Fallen Fire Fighter Memorial service will be broadcast live via streaming video on Saturday, September 16. The ceremony in Colorado Springs, Colorado, which officially begins at 11:00 a.m. (Mountain Time), will honor 196 IAFF members who died in the line of duty and were reported to the IAFF in the last year. Visit the Fallen Fire Fighter Memorial web site for a list of names on the Wall of Honor and other information. The IAFF and Colorado Springs Local 5 are committed to making the 2017 ceremony an uplifting experience for the families, friends and loved ones that celebrates the lives, dedication and accomplishments of our fallen brothers and sisters. Sent via ActionNetwork.org. To update your email address or to stop receiving emails from IAFF Main E-activist Group, please click here. 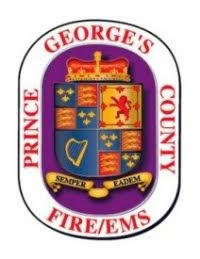 Just after 2:00 am, Friday, September 15th, Prince Georges County Firefighter/Medics responded to a house fire in Hillcrest Heights. Units arrived in the 1900 block of Callaway Street to find a 1-story with basement single family house with fire showing from the basement. Firefighters found excessive storage conditions throughout the structure. A partial collapse of the structure occurred as the fire was extinguished. A detailed secondary search of the structure resulted in locating a deceased person. Fire Investigators are currently working to determine the cause of the fire. Fire loss is estimated at $110,000. Identification of the deceased is not yet available.